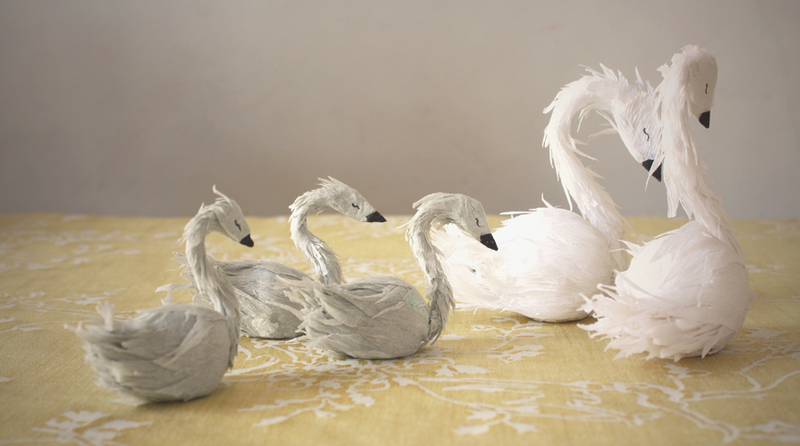 Swans. 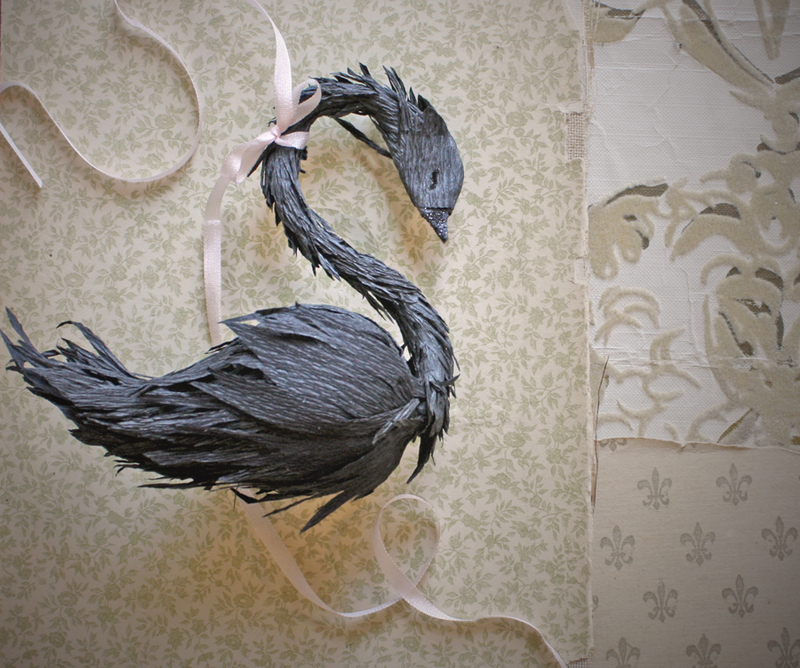 They’ve been on my mind and while I was working out the steps for the flamingo kit a swan turned up. And then another and another. I love them. LOVE them – so I took a ton of photos. Of course there is a black swan and babies too- a whole family. My first thought was cake toppers and they will be in the shop very soon – ready made and probably kits I think too (sign up here to be notified when they are available). But there is something else – probably most important of all – they bring me back around to the place I always end up. 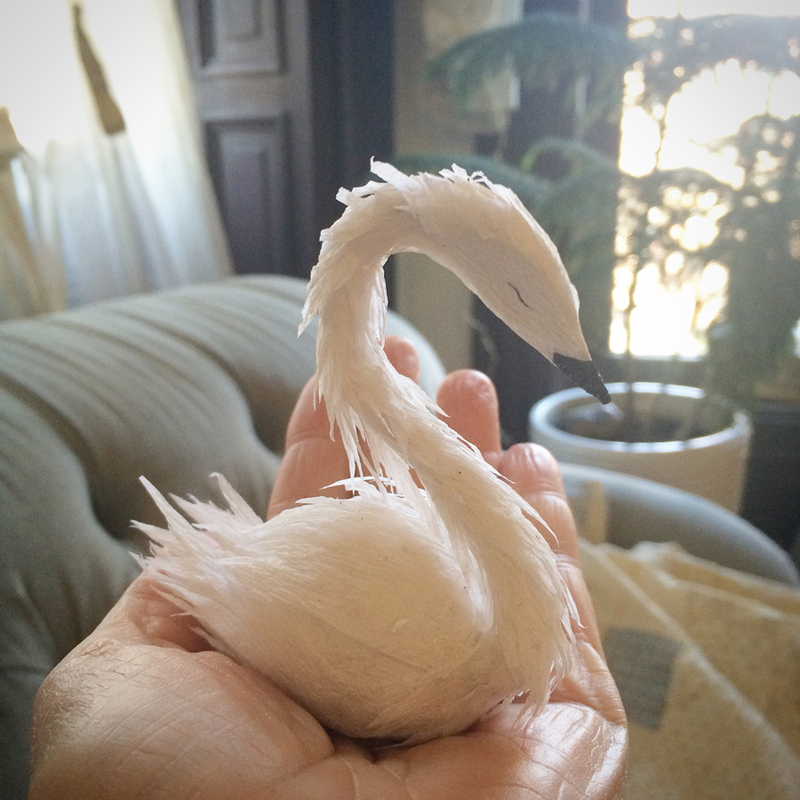 I think that everything I make has a foot in story but I have not very often explored that as fully or intentionally as I would like to and maybe paper swans are something to experiment with, a good place to play with the idea of illustrations – the setting of a tiny stage. I’ve made an astounding number of flamingos in the past few weeks. I make flamingos in my dreams. There are tiny bits of pink paper everywhere. I do some of my best thinking while I’m making them and my note book is always right next to me. While I was making this last batch I accidentally designed a new cake topper. 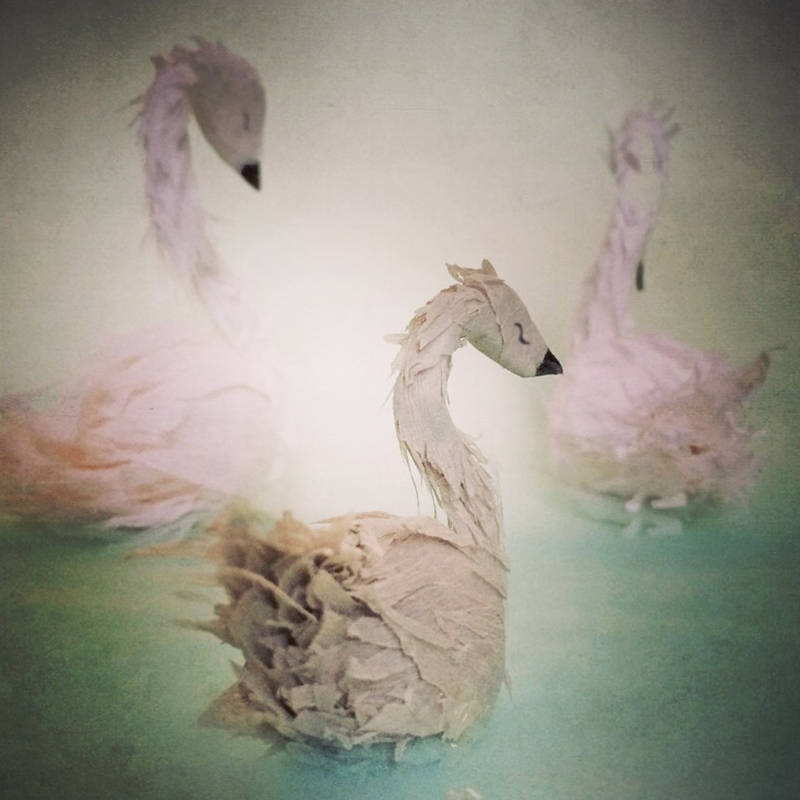 I’ve been rolling around the idea of crepe paper birds for a couple years but couldn’t quite get the shape I wanted, failed a bizillion times- I am particular. While I was making the flamingo armatures I stumbled upon the solution – I wasn’t even thing about it, the idea just appeared, a eureka moment, I hardly ever have those. Once I had an armature shape that was right and reproducible I knew what to do with the rest and a few hours later I had birds – here is a sneak peek at mr. and mrs. chickadee. I’m still working out details – supplies, production testing, packaging etc. and I haven’t made up my mind about bases. 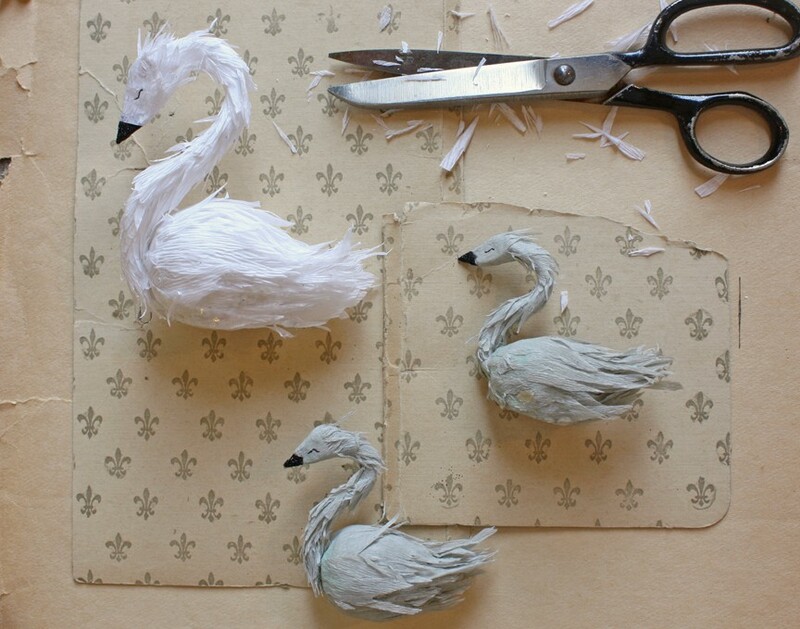 I like the idea of them going directly into the cake – like the flamingos, keeping it super simple but I’m not sure – what do you think- a little base or no? And be sure to checkout BHLDN’s new decor line – it’s beautiful and I’m flattered to be included.